How to Book a Sailing Yacht in Thailand? The Kingdom of Thailand is one of the most popular tourist destinations in Southeast Asia with its unique cuisine, beautiful beaches and friendly locals. It does not matter if you are looking for parties, relaxation or spending some private time with your family, this old kingdom offers something for each one of you, and there is no better way to check it all out than to book a sailing yacht in Thailand. Chartering a sailing yacht in Thailand is starting to become more and more popular among tourists who are trying to explore as much as this great kingdom has to offer. If you want to enjoy emerald waters, find your own private deserted beach and get this unforgettable experience, you should organise a sailing trip to this beautiful country. And the best part is you do not have to be an experienced sailor to do this. 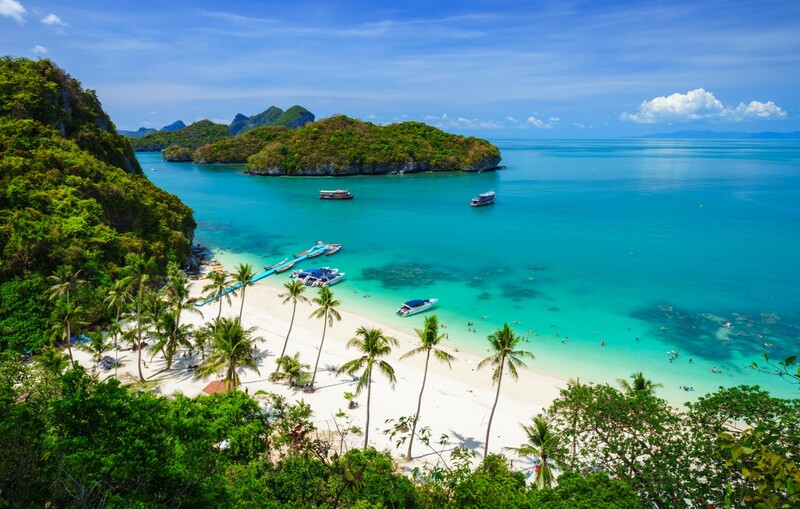 With 3,000 kilometers of coastline and with hundreds of islands, Thailand charter offers so much variety, adventure and culture that you will not believe your eyes. The main chartering region is Phuket, but the Andaman Sea and the Gulf of Thailand also have great yachts offers. The Gulf of Thailand is a shallow inlet in the western part of the South China Sea with little wind and calm waters ideal for first-time sailors. The best time to arrive in the Gulf of Thailand’s East coast is by the end of October and the most popular sailing course is from Kho Samui, a cosmopolitan melting pot. In November, the wind becomes light and perfect for sailing holidays with your family, but you should pay attention to winds in January because they can blow hard (20-25 knots) for more than a week. 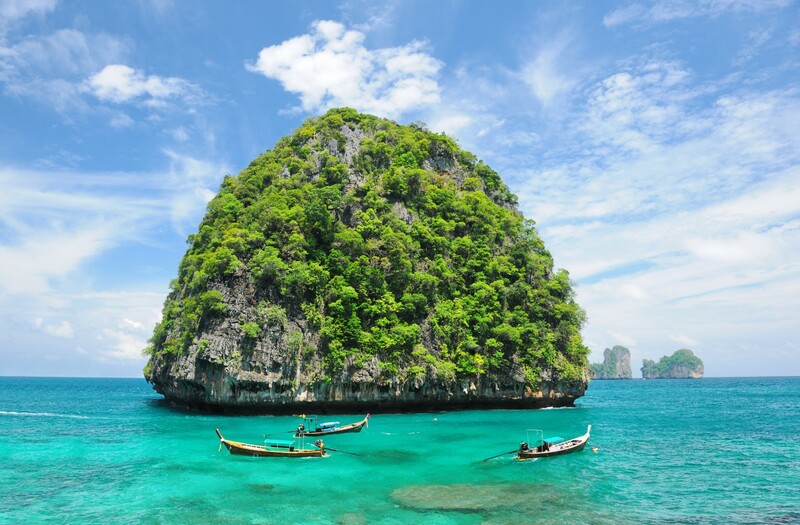 The James Bond Island (Khao Phing Kan), the Phanga Nga Bay, the Phi Phi Islands and the Ao Nang Bay are all located on the Andaman Sea coast, which is better for those looking for an adventure. It does not matter if you choose the region of Krabi or the region of Phuket as your sailing destination because both of them offer gorgeous islands with crystal clear water, perfect wind for experienced sailors, and a lot of unforgettable memories. Booking a sailing yacht in Thailand and exploring beauties of the Andaman Sea will be probably one of the best things you will ever do. The main charter melting point and the best place to start from in Thailand is definitely Phuket. 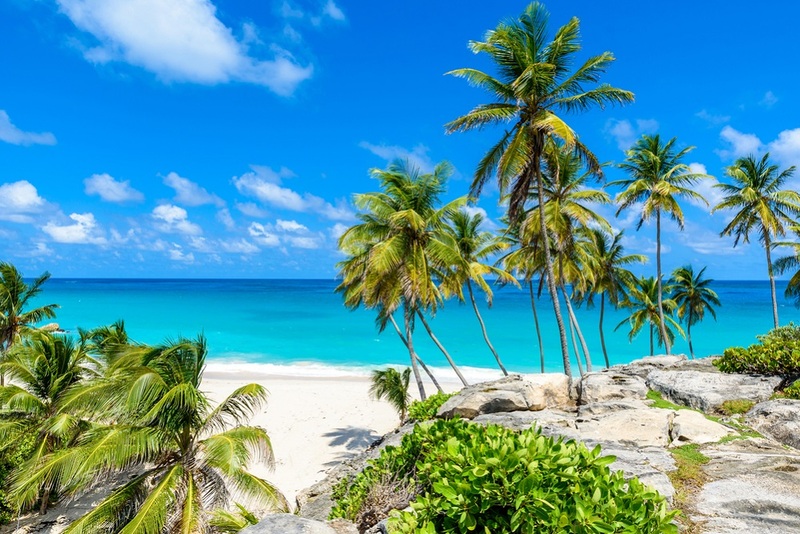 A Phuket sailing holiday is probably one of the most affordable and enjoyable experiences to enjoy in all of Thailand, especially with a crewed yacht charter because it is the easiest way to relax and enjoy your vacation with your family. The east coast of Phuket is where all the marinas are located, allowing continuous sailing access to the Phang Nga Bay. 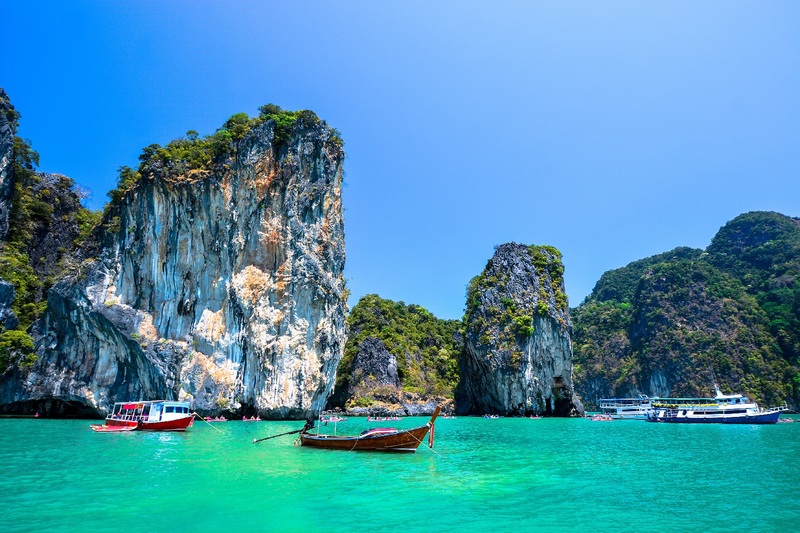 Except the Phanga Nga Bay, in the Phuket area you can visit magical Koh Phi Phi, where you can find the Maya Bay seen in the Beach with Leonardo di Caprio. The climate of Thailand is under the influence of monsoon winds of seasonal character, southwest monsoon and northeast monsoon. Thailand is known for its tropical climate with high temperatures and humidity, especially in the southern sailing and tourist areas. The best time to charter a sailing yacht in Thailand is during the dry and cool season between November and early April. Thunderstorms in northern Thailand occur in the period from April to October, but humidity is higher in the southern part, which is famous for its maritime characteristics. The back end of the rainy season is particularly wet, but the driest months of December, January and February see similar levels of rainfall to Tropea in May. When you decide to charter a sailing yacht in Thailand, you have to take care about winds. The pattern of surface wind directions is characterized by the monsoon system. During the northeast monsoon time, the wind speed is between 5 and 20 knots from northeast. Those winds are stable and the temperatures are normally around 30 °C. During the southwest monsoon (May-October) the wind speed is between 10 and 30 knots from southwest, which are better sailing conditions than in the dry season. The wind direction is very important for anchorage; during the rainy season it is not possible to anchor at the west coast of Phuket. It is very important to emphasize that night sailing is forbidden in Thailand and you have to anchor by 4 pm. 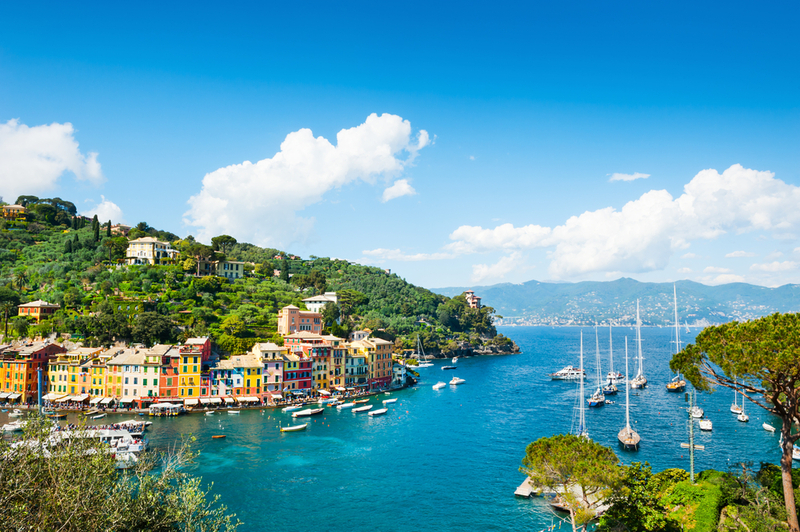 The tides are averaging around 2 meters which is more than in the Mediterranean, so you should take care about that while finding the right place for anchoring. Thai cuisine and the culinary traditions and cuisines of Thailand’s neighbors have mutually influenced one another over the course of many centuries. Their food is famous worldwide for its unique combination of sweet, sour, bitter and spicy elements which they implement in almost all of their main dishes. Pad Thai, shrimps, prawns, spicy soups, salads or stir-fried chicken are the most popular meals in this beautiful kingdom. In the southern charter areas, people are enjoying fresh seafood such as grilled fish or prawns which are the main ingredient in pretty much every dish. Combination of sailing, swimming, diving, visiting, exploring and enjoying tasty Thai food is what makes Thailand a place of the ultimate sailing experience. 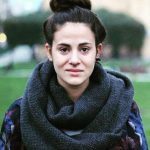 Lucija is a marketing specialist at SailingEurope. Experienced Video Journalist with a demonstrated history of working in the broadcast media industry. Adventurer, traveler and sailing enthusiast. So informative fact that you have mentioned here, actually, people want this type of topic to know for their easy Thailand tour with booking a sailing yacht. I would like to share my experience of booking yacht in 2 months ago Thailand trip which I booked from Boat Lagoon Cruises Co., Ltd. & this was an awesome moment for me with the best Phuket boat trips.